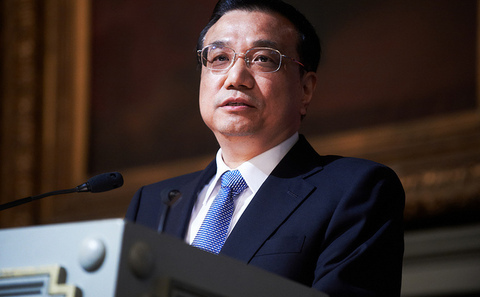 Will China’s new premier Li Keqiang improve the environment? At his debut press conference, Li Keqiang, China’s newly appointed premier, promised to tackle China’s pollution crisis with “an iron fist, firm resolution and tough measures”. After admitting to feeling “upset” about the smoggy weather affecting Beijing and large parts of China’s more affluent eastern areas, the new premier hinted that the government is rethinking the country’s development model. ”We will upgrade China's economic development model to enable people to enjoy clean air, safe drinking water and food,” Li said, adding that China would not sacrifice the environment for economic growth. Li also promised to set deadlines for resolving pollution problems in key areas and to take measures to solve water and soil pollution, according to Chinese state news agency Xinhua. Commentators have been delighted by the new administration’s professed commitment to environmental issues, but remain cautious about raising hopes too high. “It’s a sign that premier Li is indeed very committed to doing something about environmental pollution,” Chris Nielsen, executive director of Harvard University’s China Project, told chinadialogue. However, people will “really have to wait for his [Li Keqiang’s] policies and measures before being able to judge,” warned Arthur Mol, director of Wageningen School of Social Sciences and joint editor of the journal Environmental Politics. Others were more straightforwardly optimistic. Jin Min, an environmental economics professor at Renmin University of China, believes the new administration has the potential to get to grips with China’s pollution challenges. “China’s environmental problems are so severe that they have to be dealt with immediately. Judging from its record, we can expect the new administration to be a very down to earth one. Therefore, I personally feel optimistic that the new administration could firmly tackle environmental issues,” Jin told chinadialogue. Given Li’s track record on environmental issues, such optimism might seem justified.The new premier chaired the China Council for International Cooperation on Environment and Development (CCICED), a high level, not-for-profit, international environmental advisory body, during his vice premiership. Last December, when speaking at the CCICED annual conference, Li said China needed to change its development model in order to build an “ecological civilisation”. Li has also reportedly pushed for better disclosure of data on China’s air quality, as well as promoting transparency in environmental governance. According to state media agency Xinhua, it was thanks to Li’s advocacy that Chinese cities started reporting levels of air pollutant PM2.5 this year. “Li called for the monitoring and release of PM2.5 (air-borne fine particles measuring 2.5 microns or less in diameter) data to be conducted nationwide at a conference on environmental protection held in December,” says Li’s official profile on Xinhua. However, a willingness to tackle the problems may not, on its own, be enough. “The new government is definitely committed to taking action to reduce pollution, but they have not decided precisely what to do,” Harvard economist Dale Jorgenson told chinadialogue. His Harvard colleague Chris Nielsen said the new administration’s main difficulty lies in finding a better balance between economy and environment. “The average income level in China is still very low, there are still a lot of people who are living in pretty poor conditions, and so there is an imperative to develop the economy. At the same time, you don’t want to have prosperity and wealth in the middle of a degraded environment, so you have to try to find a balance between those,” said Nielsen. That isn’t all the new premier needs to worry about. According to Mol, the central leadership’s ability to implement policies locally is crucial to environmental progress. Many other observers agree. Infighting within the bureaucracy and the influence of vested interests were cited by the New York Times as among the biggest obstacles to enacting stronger environmental policies. State-owned enterprises — especially China’s oil and power companies — have been putting profits ahead of health in working to outflank new rules, despite an official push for cleaner environmental policies, suggested the newspaper’s reporter Edward Wong. The fear is such political challenges could gradually wear down Li and the new administration’s environmental ambitions. “Environmental protection is a public affair and hence a government duty,” said Renmin University’s Jin Min, adding that the government could use mandatory regulations and economic adjustments to tackle environmental issues. Many commentators suggest such regulations are not enough, however. Chen Gang, researcher at the National University of Singapore, said environmental taxation could be more effective than top-down administrative orders. His thoughts were echoed by Mol: “The more China moves to a market economy, the more it is essential to price the environment: to put high costs on water, energy, environmental pollutions.” Citizens and environmental NGOs must also be given more space to operate, Mol said. With the new administration in office for just a few weeks, commentators may be wise to avoid making premature predictions. But there have been some positive signs. The Ministry of Land and Resources recently sent some 400 pages of groundwater quality data to three Beijing lawyers who had requested the information. Coming just one month after the environment ministry rejected a similar request for soil-pollution data on grounds the information was a state secret, this offered a boost to transparency campaigners. Perhaps the new premier’s own words, spoken at a recent State Council meeting, provide the best explanation for the shift in approach: “Today’s society is already highly transparent. China has millions of microblog users. Sometimes when the government doesn’t make information public, there will be gossiping and even groundless speculation, causing public discontent and adverse impacts on government work. Both inside and outside the ongoing Lianghui, China’s annual parliamentary season, everyone is talking about what to do about smog. Wang Tao reports.